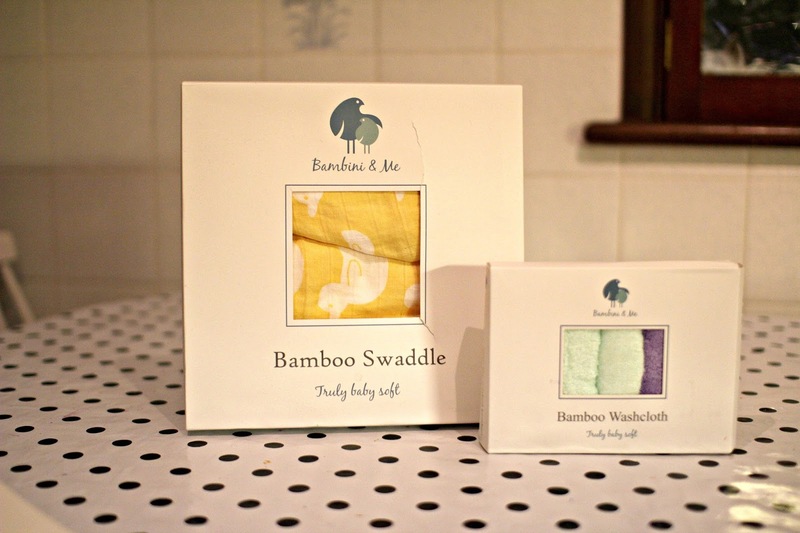 Mummy's Little Blog: Bambini and Me - Bamboo swaddle and Washcloths review. Bambini and Me - Bamboo swaddle and Washcloths review. Sometimes you come across a brand that you would consider having another baby just to get your hands on some of the beautiful products. My youngest is now 2 and a Half and we still treat him as bit of a baby. 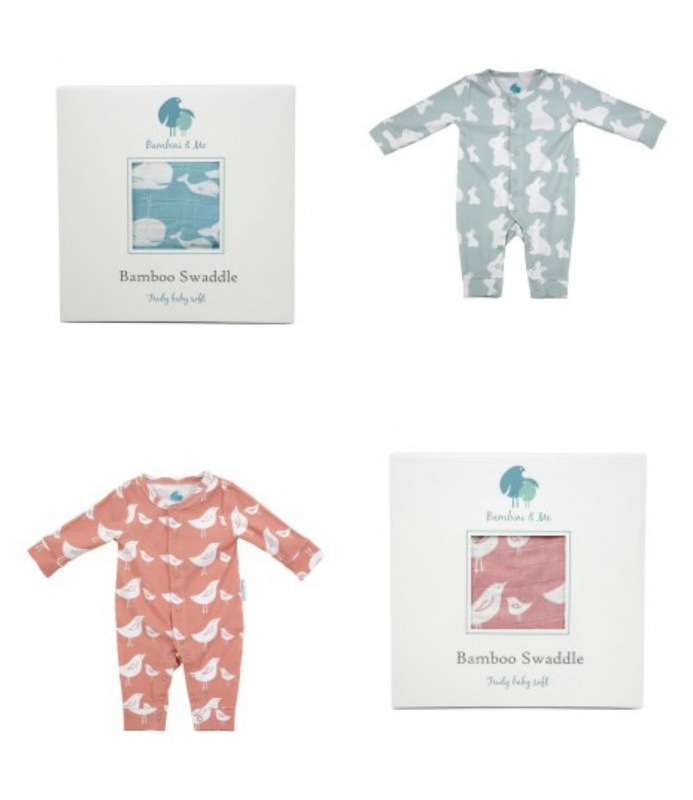 We were asked by Bambini and me if we would like to feature some of there products on my little blog and I found my self saying yes because I loved the prints so much. When the package came inside was a large swaddle blanket and little Son Sons eyes lit up as if it was christmas and he wanted to take it everywhere with him. I thought I would feature some of there other items as I fell in love with all the colours pastels have always been my favourites and these soft tones just look fabulous, lots of my friends are having babies very soon and I have my eye on some of these items, especially the grey bunny romper. We were send the yellow Bamboo swaddle blanket and a pack of Bamboo washcloths. The washcloths were rather beautiful and the most smoothest I have ever touched. The box its self comes as a pack of 6 and in various pastel colours. 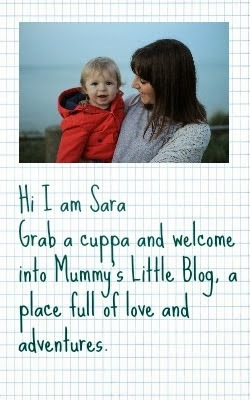 They are perfect for everyone from newborns to Mummy and Daddies. The wash clothes come in a beautifully presented box which would make them perfect for a gift or present at a baby shower. They retail at £15 which personally I think its good value as they are made to a high standard. The swaddle blanket we were send went down a treat as pictured belie. He loves it so much he now can't sleep with out it, he likes to wrap him self up in it, its almost as if he things he is a baby. The material is super soft Bamboo. My Son Son usually uses Muslin Square as a comfort blanket but this is much more fun. Not only is it so large it is bright yellow in the most beautiful duck print. This Bamboo Swaddle would also be perfect for nursing mothers, I for one was never comfortable breastfeeding in public and this would have been so handy to avoid any naughty nip slips. Another way to use it as something for your baby to lie on over a cold changing mat. Especially a newborn, my little ones would always cry when I placed them on the cold changing matt, this would have been suer handy. 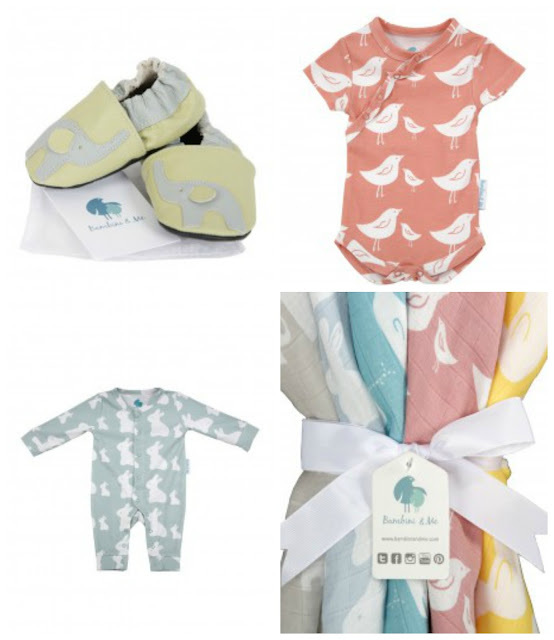 The Bamboo swaddle comes in its own presented box as pictured above and comes in a variety of pastel colours. It retails at £15 which I think is an amazing price for the quality of the product. We personally have fallen in love with the Bamboo swaddle, I say we because Son Son loves to carry it around buy I love the colour so much. 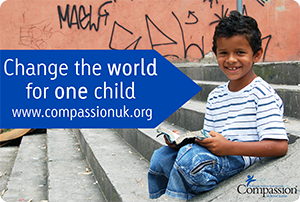 If you want to find out more about Bambini and Me by checking there website here. Also they are currently offering a deal for first time customers where you can get 15% of your first order using the code HAPPYTIMES when ordering.